This page is by Andy Kubert and myself for Flashpoint #2. It is penciled and inked on an 11x17 DC bristol board. 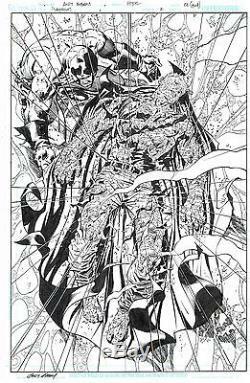 The item "Andy Kubert original art for Flashpoint #2 inked by Sandra Hope for DC comics" is in sale since Monday, June 06, 2016. This item is in the category "Collectibles\Comics\Original Comic Art\Interior Pages". The seller is "comicarty" and is located in Wolfeboro, New Hampshire.